The price of Samsung Galaxy J3 Emerge, specifications, features, preorder, and sale info are here. Samsung has finally opened up for the pre-orders of their new device Samsung Galaxy J3 Emerge. It is the successor of the Galaxy J3. The pre-orders are currently open in U.S only. The company has silently listed this model on their website and made no official declaration. 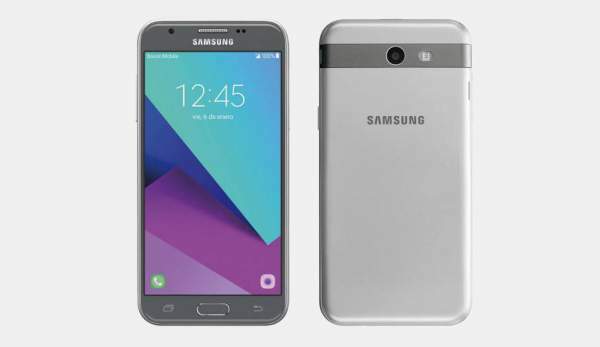 Samsung Galaxy J3 Emerge (price) is said to be the ‘Tweaked’ variant of Samsung in this year. On the Samsung website, Galaxy J3Emerge is available on three different carriers – Sprint, Boost Mobile and Virgin Mobile. It is said that the company has listed the phone on their website the device has got WiFi certification from WiFi Alliance (WFA). J 3 Emerge is supposed to be equipped with 5.0 inches HD display with a resolution of 720×1280. J3 Emerge is powered by octa-core Qualcomm Snapdragon 430 processor which is clocked at 1.4GHz coupled with Adreno 308 GPU. The processor will be supported by 1.5 GB of RAM and offers an internal memory of 16 GB. Talking about the camera, the smartphone features a 5 megapixels rear camera with f/1.9 aperture and a 2 megapixels front camera with f/2.2 aperture. The device is said to run on Android OS v6.0.1 Marshmallow. Although some websites are claiming that after the WiFi certification, the phone will be coming to worth Android OS v7.0 Nougat. Other connectivity options like 3G, GPS, WiFi, Bluetooth and Micro-USB port. The smartphone will be powered by 2,600 mAh battery. This battery is big enough to support 23 hours of talk time and 13 hours of video playtime on a single charge. The mobile phone measures 140.9 x 70.1 x 8.7 millimeter and weighs about 5.12 ounces. The specs of all the three variants are same. There is no hardware difference. According to some reports, it is said that the 5 inches Samsung Galaxy J3 Emerge is priced at Rs. 6,843. The Sprint version can be pre-ordered for $234.99. You may be surprised to know that the same device is priced at $168 on the Sprint Store. Best buy is offering a payment plan in which you need not pay anything in the starting which will be followed by 24 months installment of $7. Check: Samsung Galaxy S8 Release Date & News: New Ads Leaked. Also, the three units of SM-J327P were imported to India for testing purposes from South Korea. The phone will soon be available in the Indian Market. Best Buy is promising to deliver the smartphone by 23 January if you are pre-order the device from them. Hope the smartphone will get the good response from the market. Hope you liked the article. Stay tuned to The Reporter Times for more information. Share it on the social media with your geeky friends.